(Natural News) Vegan diets are increasingly popular among humans, but is the environmentally conscious and cruelty-free way of eating appropriate for pets? Activists say that pet food is an environmental disaster, especially now that so many pet owners are interested in feeding their dogs and cats a biologically appropriate diet. On the surface, the idea of feeding them a vegan diet may seem like a great option: It sounds healthy enough, and is touted as a more earth-friendly approach to eating, for both humans and pets. But for many dogs and cats, a plant-based diet is often less than ideal, unless the diet is executed with extreme precision. Vegan diets for beloved cats and dogs are growing in popularity, especially now that pet food manufacturers are trying to push the next big protein for plant-based pet food: koji. Koji is an “ancient Asian” fungi, and Wild Earth will be releasing the first dog treats made with Koji in the United States. Company CEO Ryan Bethencourt is hopeful that koji will take the pet food industry by storm, especially among pet parents that are concerned about sustainability. Wild Earth is also reportedly working on lab-grown meats to reduce the environmental impact of meat-based pet foods, as well. These are novel ideas but for many, the concept of a vegan pet food leaves much to be desired. Are vegan diets the way to go? Animal microbiologist Holly Ganz has been called upon to assess the “gut-friendliness” of Wild Earth’s koji products. “We’re hoping that it will support bacteria that will help to fight inflammation and maintain healthy digestion and nutrition,” she commented. Ganz is a proponent of the movement to reduce the environmental impact of pet-keeping — cleverly nicknamed “pawprint.” But reducing your pet’s pawprint isn’t as easy as it sounds, at least on the food front. As Ganz notes, cats are obligate carnivores — which means most of the nutrients they need come from meat, and they have an extremely limited ability to digest starch. Dogs, on the other hand, have evolved as scavengers. While dogs also need nutrients found in meat, they are better able to digest starches than cats since they have some amylase genes. But that doesn’t mean it’s ideal. One such nutrient is taurine. 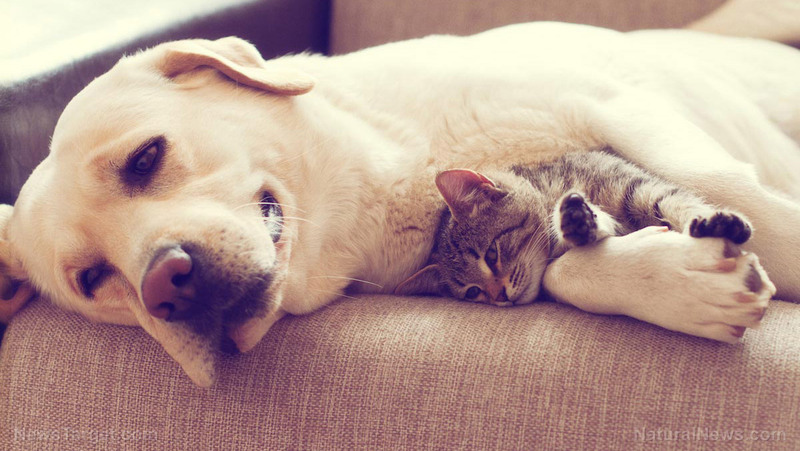 Taurine has long been recognized as an essential nutrient for cats — but recent studies have shown that many dogs are falling prey to taurine deficiency and subsequent heart disease. Veterinary nutritionist Lisa M. Freeman, DVM., Ph.D., DACVN, says that dilated cardiomyopathy (DCM) is on the rise in dogs. In the late 1980s, researchers found that feline DCM was linked to taurine deficiency — and it looks like the same may hold true for dogs. Studies have shown that high-fiber and low-protein diets may be linked to DCM in canines. While its not absolute yet, the findings have given many pet owners and veterinarians pause — and raises greater concern about the safety of vegan diets for traditionally carnivorous pets. But there are many concerns about the safety of “traditional” pet food too — which is why so many pet owners have turned to home-cooked, human-grade food. For now, the world of pet nutrition continues to have more questions than answers. One thing is certain though: Dogs and cats need a nutritionally balanced diet for optimal health, just like humans. Whether or not that can be accomplished through a fully vegan diet is still up for debate. Learn more about what’s best for your four-legged pals at PetHealth.news. Next : Instead of paying farmers subsidies to grow unprofitable crops, wouldn’t it make more sense to legalize hemp agriculture and unleash billions in profit potential?